U.S. Naval Air Station Sigonella, Sicily, is strategically located in the middle of the Mediterranean just south of Italy. It is the primary logistical support for the US Sixth Fleet Mediterranean, as well as other US units and its coalition partners. The 41º Stormo Antisom (41st ASW Wing) of the Italian Air Force is also based at Sigonella. NAS Sigonella provides consolidated operational command and control, administrative, logistical and advanced logistical support to the U.S. and other NATO forces. With on-going political changes in the Mediterranean and Near East regions, Sigonella's ability to meet emergent mission requirements greatly contributes to both NATO and the Commander, U.S. Naval Forces, Europe's vision to promote regional stability as the nickname suggests: "Hub of the Med". NAS Sigonella is divided into two bases, NAS I and NAS II. Most operational work is performed at NAS II and NAS I has become known as one of the best personnel support facilities in the Mediterranean. Provide installation support to Fleet, Fighter, Family that is second to none! NAS Sigonella is an active, vibrant and diverse community of professionals and families. We deliver world-class ashore support to US, NATO and Coalition forces through our devotion to vigilant preparedness, dynamic coordination, relentless follow-through and frequent assessment. U.S. Naval Air Station Sigonella is located in eastern Sicily, south of Mt. Etna and a few miles inland from the eastern coast of the island. The island of Sicily measures 160 miles in length and varies in width from 30 miles at its western end to about 110 in the east. 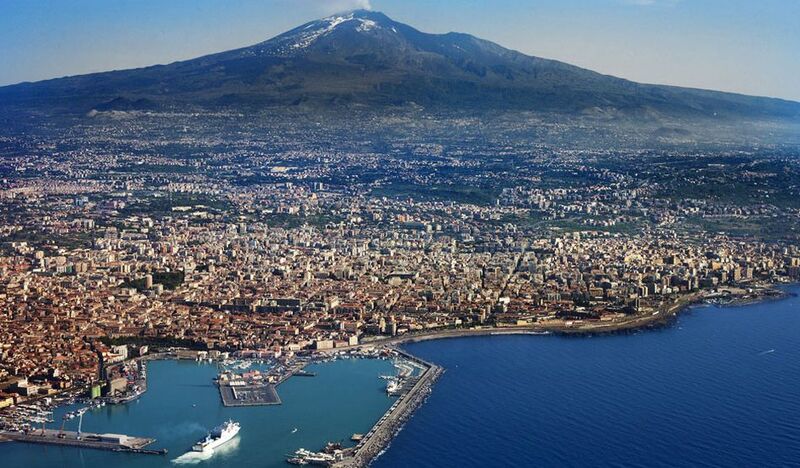 It is separated from the mainland by the narrow "Straits of Messina" (less than two nautical miles wide). NAS I is home to a Commissary, the Navy Exchange (NEX), Navy Family Service Center and the US Naval Hospital. The runway, air terminal, operations, and most tenant commands are located at NAS II. Both the Air Field and Operations facility, NAS II is a joint U.S. and Italian facility with separate supporting areas. NAS II also contains the NATO operational facilities and areas as well. Base Sigonella is an Italian Air Force base commanded by an Italian Colonel. NAS Sigonella is a tenant command to the Italian military. However, NAS Sigonella acts as landlord to more than 30 other U.S. commands and activities. Each command has its own unique structure according to the support service it is tasked to provide. The air station's Operations Department operates the C-26 transport aircraft that, in concert with deployed Naval Reserve C-9, C-40, and C-130 aircraft, provide logistics support throughout the European theater and the Middle East. Sigonella's strategic importance is also providing crucial air-links for USAF strategic airlift in support of CENTCOM and Africa Area contingency operations. NAS Sigonella is home to over 7000 military and civilian personnel including family members. Sicily has a history of past civilizations for thousands of years. The Greeks, Romans, Byzantines, Arabs, Normans, Germans, Spaniards, French and Austrians all have provided a unique culture of ancient sites today. You will find Roman and Greek amphitheaters, temples, and baths all within their modern cities. As an island in the middle of the Mediterranean, there is no shortage of beaches and beautiful beach villages. Most public beaches are between the cities of Palermo and Catania. There are private and more secluded beaches as well if you care to site see and find them along the western coast. All single and unaccompanied personnel are required to check with the barracks for availability prior to making arrangements at one of the approved Temporary Lodging Allowance (TLA) locations on the economy. The Central Billeting Office can be reached 24 Hours a day. The Navy Lodge is located on NAS I and is within walking distance of the Navy Exchange/Commissary, DoDDs School, Base Indoctrination classroom, Housing Office, MWR Complex as well as many other facilities. The Housing Referral Office is located on NAS I. Navy Gateway Inn, and Suites also offers places to stay when visiting or waiting for permanent housing. You must be physically at Sigonella to apply for government housing. If you are on accompanied orders, your family members will also need to be named and physically on the island to be assigned family housing. Few are living on the economy at this time. Bachelor Enlisted Quarters (BEQ) units and Bachelor Officer Quarters (BOQ) units are also available. The Billeting Office is located on NAS II. BOQ and can be reached at DSN 314-624-6832/4109. The BEQ is open 24 hours. Sigonella offers a Department of Defense Dependent School (DoDDs) which serves children pre-kindergarten through 12th grade. Pre-kindergarten includes the Sure Start program, a comprehensive developmental program designed to help four-year-old children get a better start on school readiness. There are several families who homeschool. Some families enroll their children in the Italian schools as well. The DODDS Stephen Decatur School is available without cost to command sponsored active duty and DoD civilian family members. Private schools are not available in the local area. There is limited special education support available. Sigonella offers a full-service Navy Campus. There are several colleges/universities represented, and degrees vary from certificates through a master's degree. University of Maryland (Europe) offers many classes. The Child Development Centers offer a variety of programs. Full-time and hourly care is available for ages six weeks to six years. A pre-school program (two-and-a-half hours a day/two-to-three days a week) is offered for three and four-year-olds. Waiting times vary depending on the age group. The School Age Care (SAC) program for school-aged children, 6-12 years of age, provides quality care before and after school, as well as a full-day camp during the winter, spring and summer breaks. During the school year, SAC is a before/after school recreational program. Students are escorted to and from the elementary school. When school is in session, the SAC program is offered Monday thru Friday: 6:00 am - 7:20 am and 2:30 pm - 5:30 pm. Saturday and Sunday the program is closed. During the school vacations, excluding federal holidays, Camp SAC is a full day recreation program. The U.S. Naval Hospital, Sigonella, is a three level, 98,000 square foot hospital providing readily available obstetrics/gynecology and orthopedic care. Medical facilities are also available on NAS II at the flight line clinic for active duty personnel and occupational health care needs. Medical services there are limited to outpatient care such as sick-call, physical examinations, aviation medicine, and limited emergency services on both a walk-in and appointment basis. Active duty service members, DoD contractors, and their families can access medical and dental services at the hospital. The nearest emergency room is at the hospital on NAS 1. Those wearing contact lenses are strongly urged to bring at least one set of backup lenses and a current prescription pair of glasses due to possible irritation from Mount Etna's volcanic dust. Respiratory conditions such as asthma, bronchitis, pneumonia or allergies to dust, hay fever or chronic sinusitis are often aggravated by the volcanic dust.